Lisbon woke up last monday with another beautiful sunny day, like almost everyday in the year… Do you know Lisbon has about 2800 sunlight hours per year, instead of the 1500 hours of sunlight per year in London? Yes, Lisbon is the greatest city of the world. Back to monday, the 19th of February, the Opening of Cowork Baldaya took place on Palácio Baldaya, in Benfica. 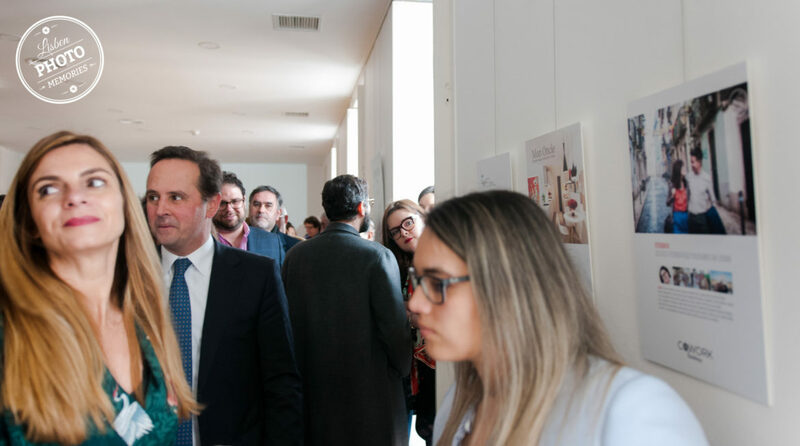 Lisbon Mayor, Fernando Medina, and its Vice-President, José Duarte Cordeiro, were there, as the President of the parish council of Benfica, Inês Drummond, to celebrate this important moment for all of us who are cowork members. I’m very happy to be a Cowork Baldaya member as Lisbon Photo Memories, and I am sure that we’ll get along very well. There is a great energy between all of us and there are many different projects and businesses which can grow together. Speaking about growing businesses, during the opening I had the pleasure of meeting Maria from Luggage @ City Center, who told me all about their luggage storage store, available 24/7. Now I have the opportunity to recommend their services to my clients. When tourists contact me to do a photo session with them, they never choose the check out day to do it because they don’t have a place to storage their luggage. And sometimes there is an issue with my availability for doing the photo sessions when they contact me on short notice and just have an available date… Now there is a solution: Luggage @ City Center, which is located in Chiado, near Baixa Chiado metro station and Tram 28.